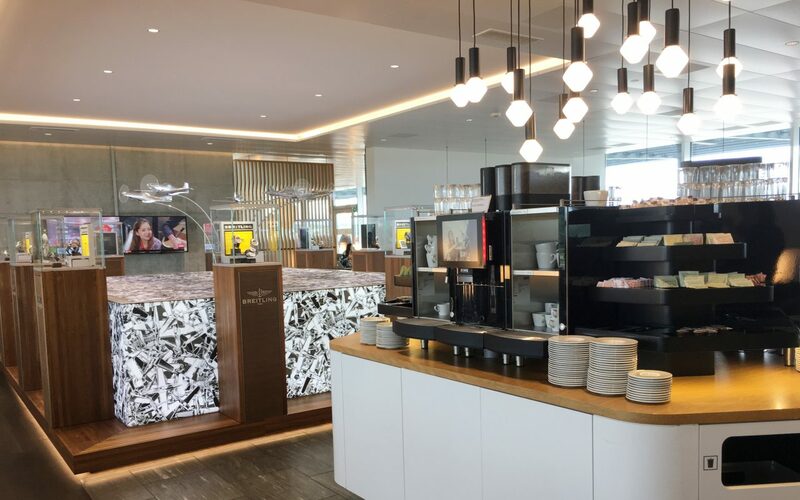 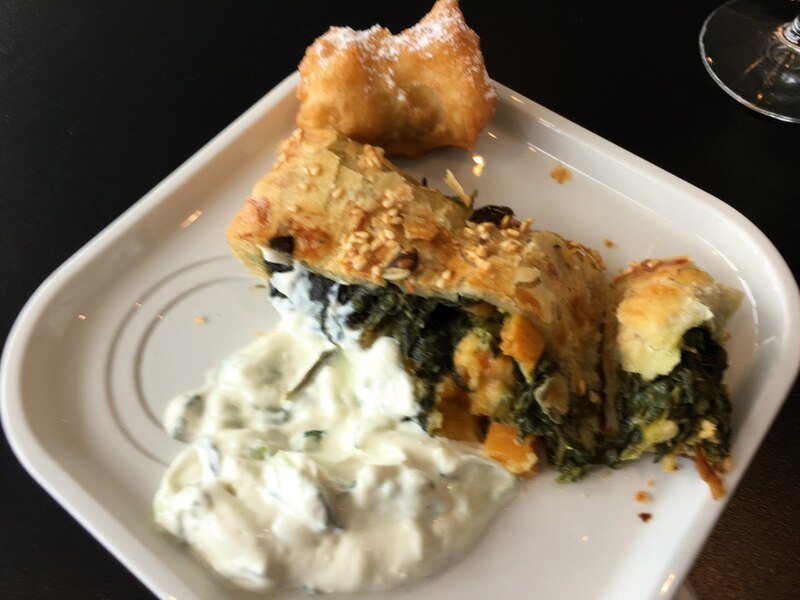 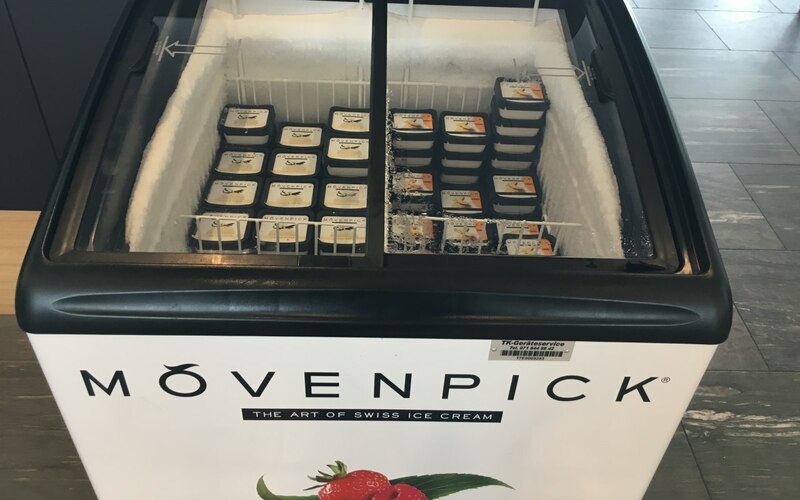 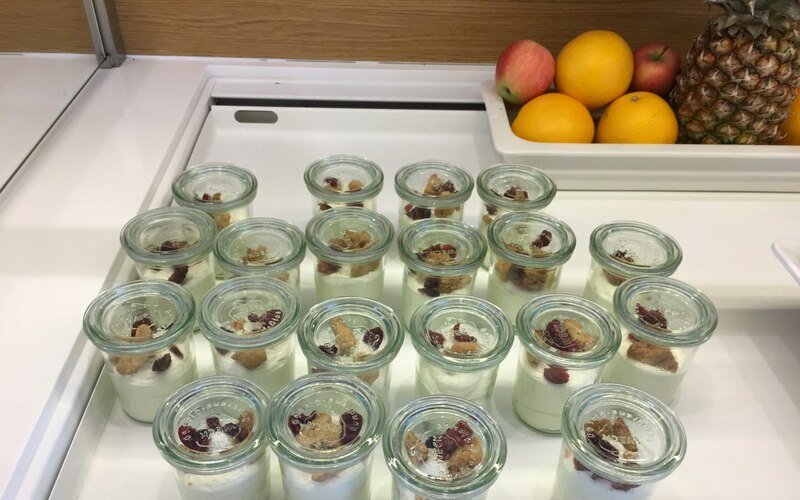 This SWISS Business Class Lounge Review, Zurich, is from a recent visit to the new Swiss Airlines Business Class Lounge by the E Gates at Zurich Airport (ZRH) before my return flight ZRH-JFK. 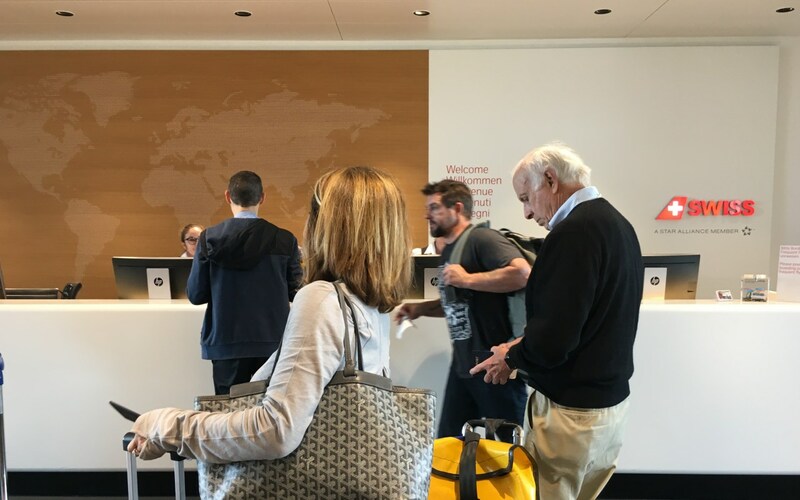 You can read my trip report on my outbound NYC to Geneva flight in Swiss Business Class. 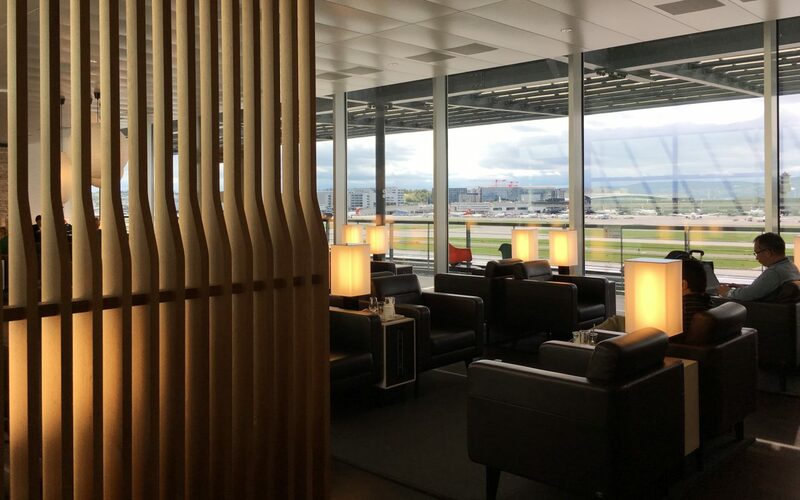 There are Swiss Business Class lounges in Zurich Airport near the A gates (currently closed and undergoing refurbishment, expected to be complete by April 2018) and also a basic lounge by the D gates, for passengers not traveling within the Schengen airspace, but currently the best new Swiss Business Class Lounge is by the E gates, which opened in 2016. 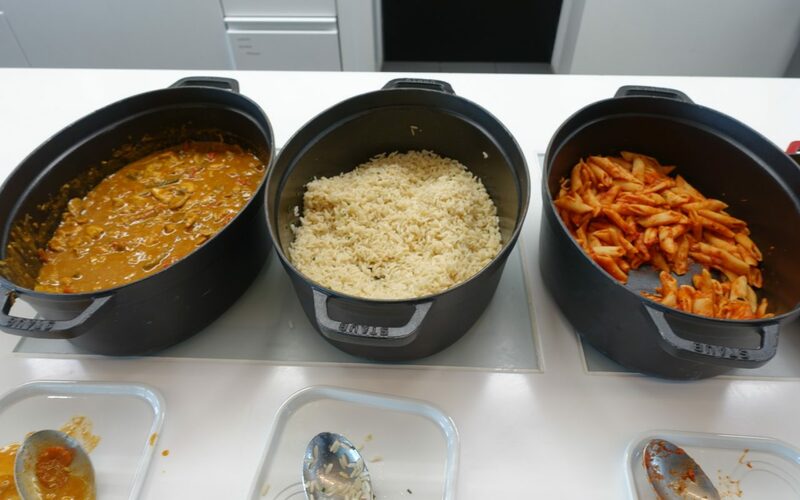 There are a number of seating areas, with the area on the left right after reception, near one of the cold buffets, one of the most crowded, during my visit. 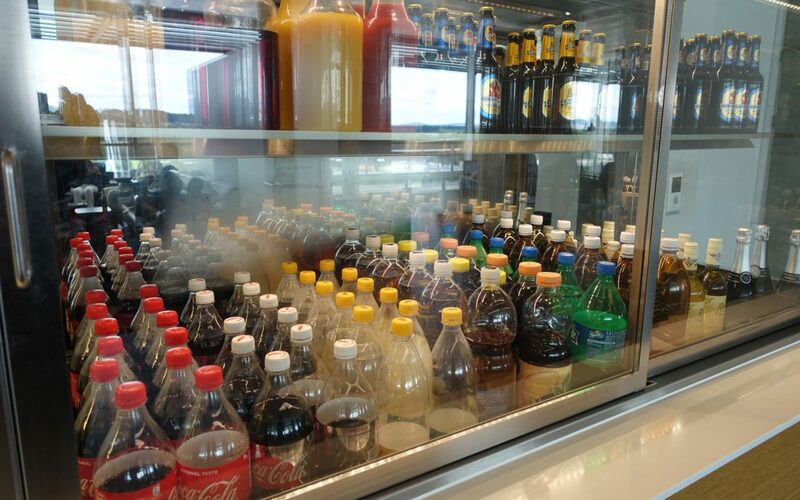 The booth areas near the hot buffet were also quite busy at the time of my visit. 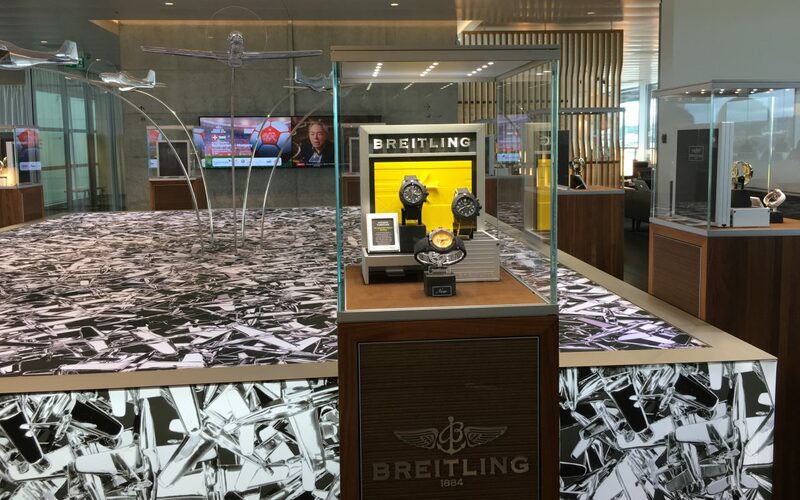 Given how busy the lounge was, it seemed like wasted space to have a central area seemingly devoted to promoting Breitling watches with an airplane themed centerpiece. 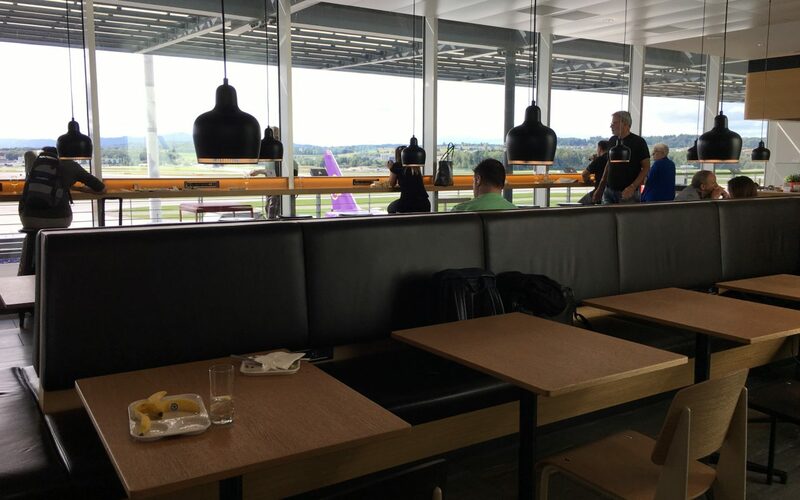 If you're hoping to rest, there's a relaxation room with some relaxation chairs, each of them semi-private, and some of which face the tarmac. 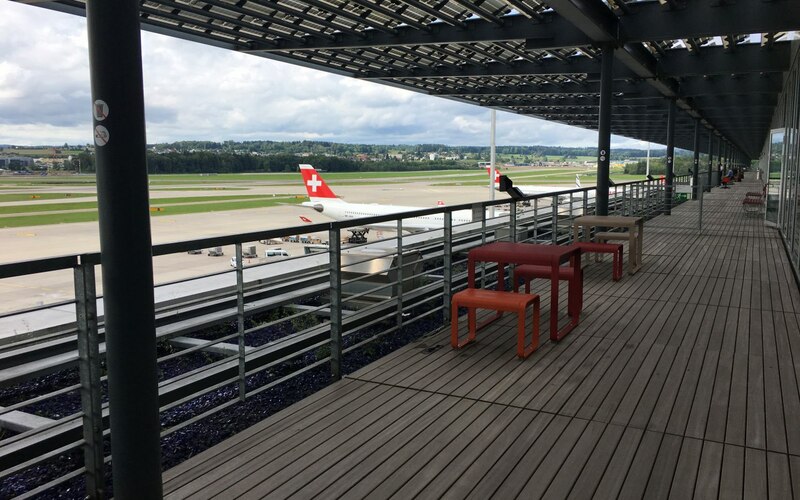 A unique amenity that I rarely see is an outdoor area with views of the tarmac, great for aviation enthusiasts and plane spotters. 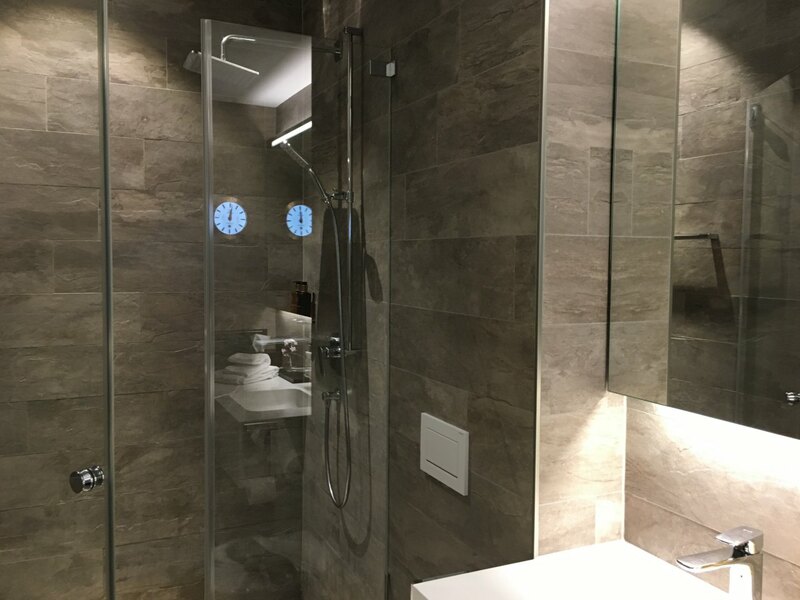 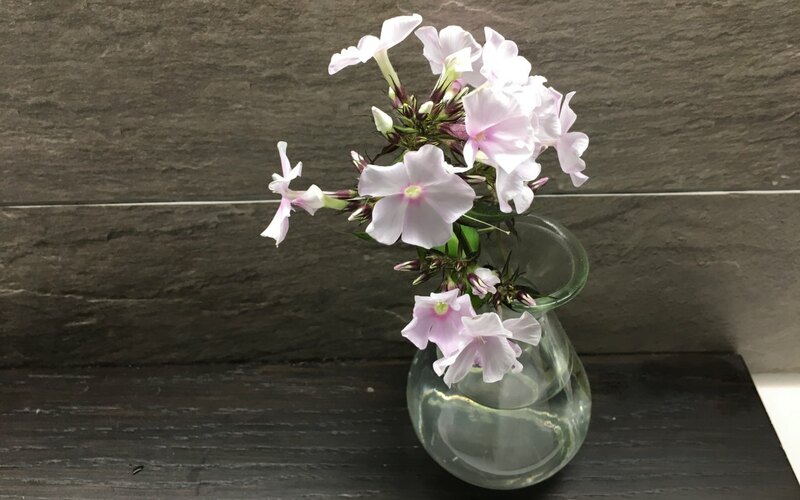 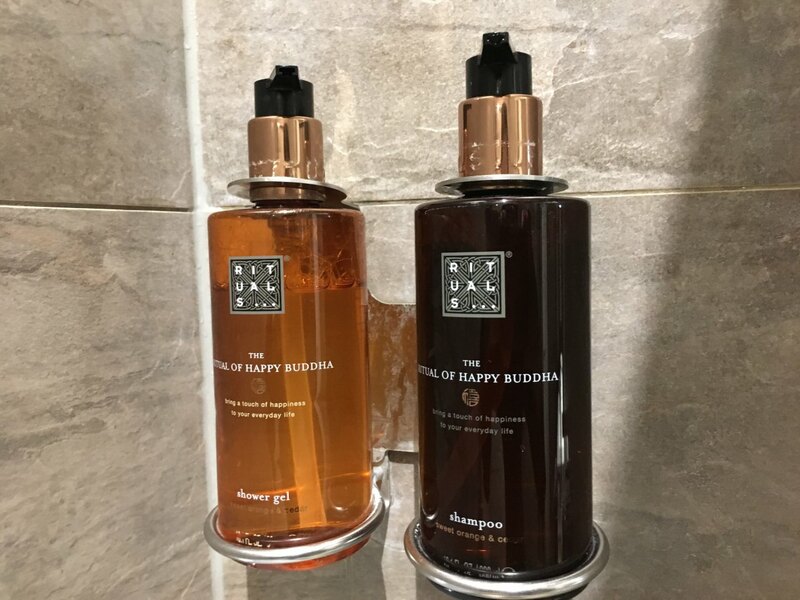 The shower rooms are also excellent: clean and sleek looking, with a rain shower, an Omega clock to help you avoid missing your flight, and even some flowers in a vase. 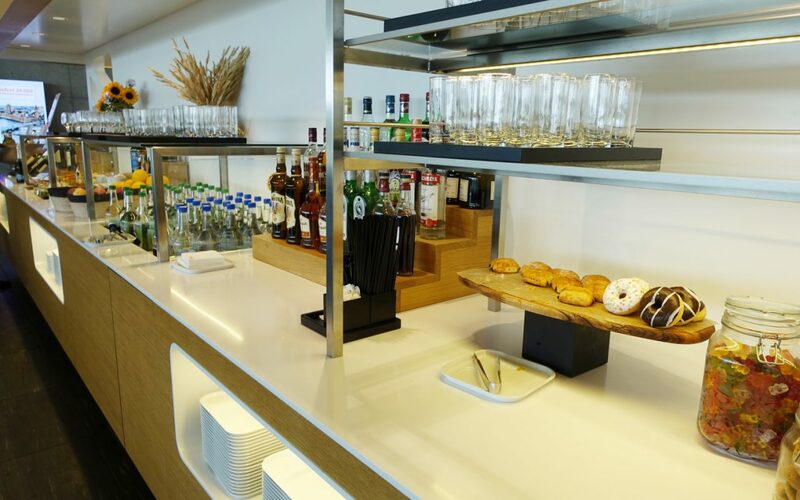 There were also nuts and other snacks, and juices and soft drinks were in a case, and there was an assortment of spirits and wines, although no bar per se. 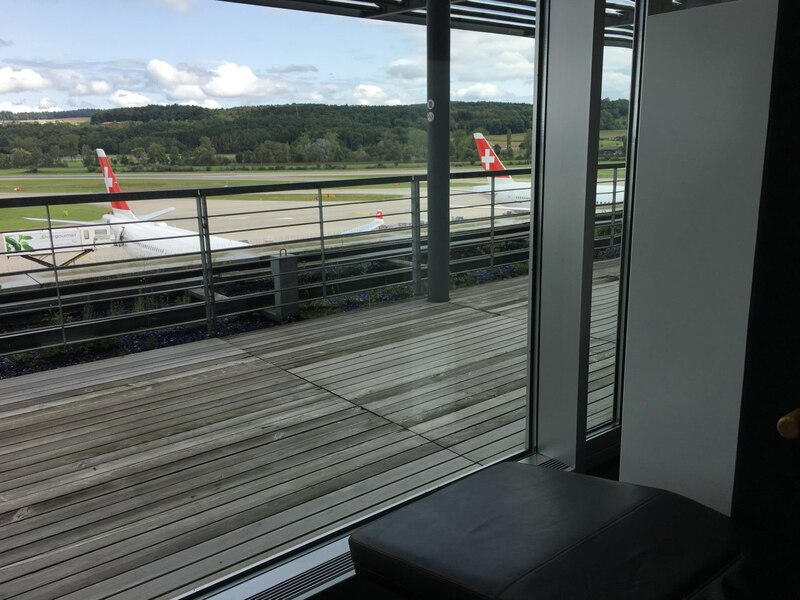 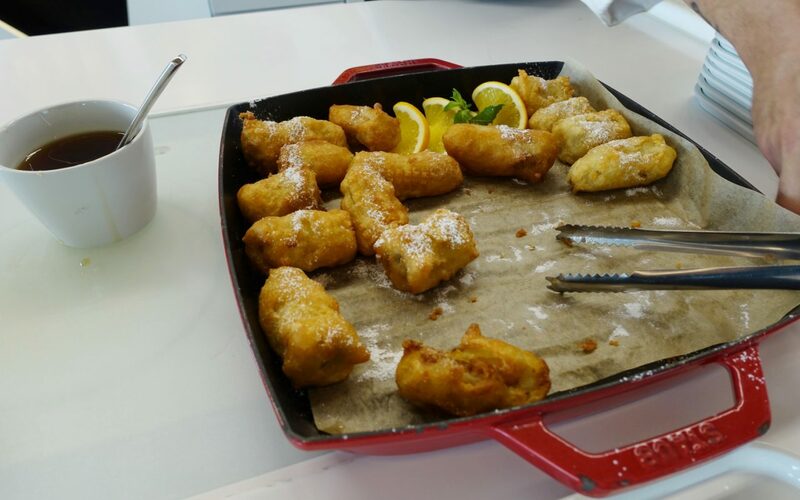 I was impressed by this Swiss Business Class lounge–it's one of the better international business class lounges I've experienced, from the outdoor balcony overlooking the tarmac and relaxation room to the very good shower rooms and good hot dishes, such as the savory strudel and banana fritters. 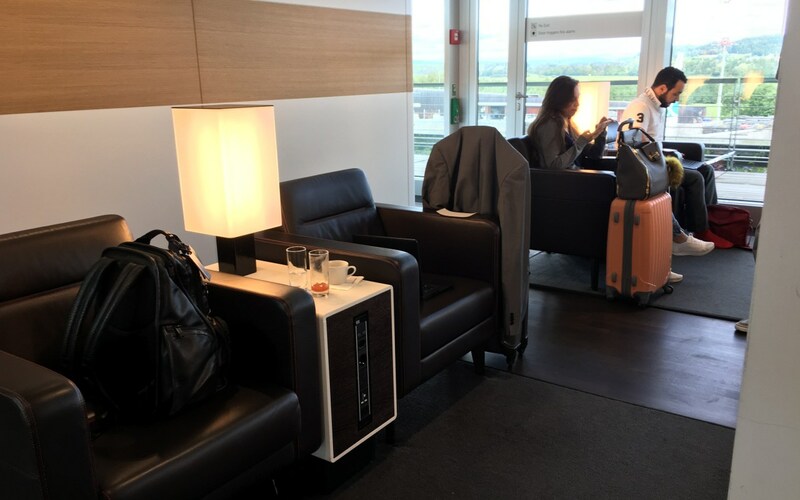 While I'd have preferred a swifter check-in, faster Wi-Fi, and a better use of space where the Breitling watch display is, overall I enjoyed my visit to this lounge.